A very short post today. I had a super busy long weekend and wore the same polish for the whole thing. 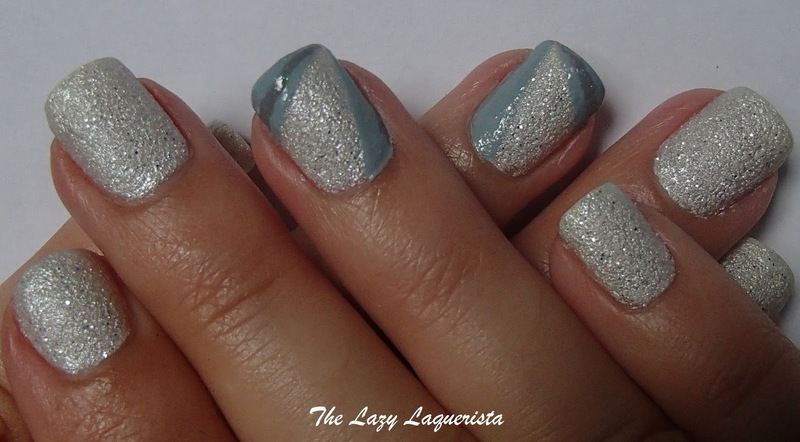 I added some geometric accents to my OPI Solitaire mani using China Glaze Sea Spray and Pahlish Valley Of Ashes. Sometimes a quick accent nail is all you need to switch things up.